Someone needs to tell HBO to make this into a series. I have very rarely seen such an exquisitely crafted story with characters who don't just come alive but walk off the page (or out of the speaker in this case). Without spoiling anything, I wanted to applaud Joshua for subverting my expectations. The story is definitely for mature audiences only and I'm talking more about the hurt that follows the characters around than the vulgarity (not something I'm approving of, but the story is very true to life that way). While this is definitely a story meant for Mature Audiences (and I'm not applauding the vulgarity of the book), so is most of real life, sadly. I've rarely encountered such a compelling story in any genre. The closest parallel I can think of is the re-imagined Battlestar Galactica, without the sci-fi trappings. Everyone in the story is a broken, vulnerable person. Some make better choices than others about how to survive. No one in the tale is perfect. Through their mistakes, their triumphs, loves and hates, our own lives are reflected to one degree or another. Definitely getting Book 3. 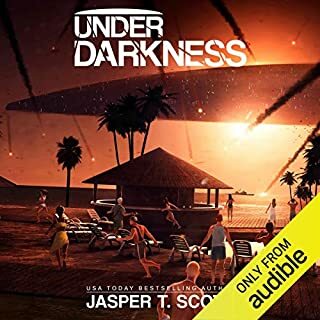 This is my first time reading/listening to Jasper T. Scott's work and I am seriously glad I took the recommendation. Under Darkness is a trippy mix of Independence Day vibes (of the good kind) with all the visceral fun of a Scream movie...but with aliens. What surprised me most was how fleshed out the characters were (pun intended): something not seen often enough in the sci-fi/horror genre. To begin with, there is divorcee, Bill Steele, who is struggling to run a five-star hotel while raising his wild-child daughter. Then there are the newlyweds on their possibly last day honeymooning <B.E.G.>. And there is the unfaithful businessman trying to reconnect with his wife and spoiled family. All while running away from terrors brought to them from another world. If you're looking for an enjoyable thrill, Under Darkness delivers. 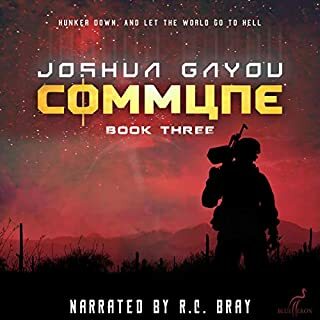 If you didn't find Book 1's dystopian sci-fi world to be all sugar and rainbows, then Book 2 cranks the angst up to an eleven. 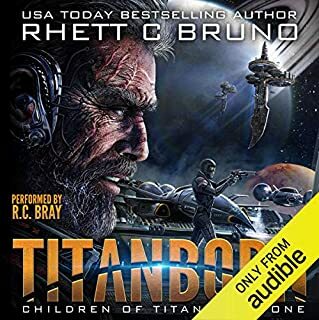 From page 1, Rhett vividly paints the bleak world of Titan and the suffering that Ringers endure at the hands of their Earther oppressors. I've seldom seen world-building done as well. The character dev is also top notch. The tragic hero, Kale, is as sympathetic as he is morally wrongheaded: a desperate man who tries to straddle the line between crime and honest work to save his dying mother. He'll soon learn the true cost of his choices. It's not a story for the faint of heart. It certainly sent me on a roller coaster ride of visceral thrills, while making me feel utterly depressed at others--sometimes within the same chapter. 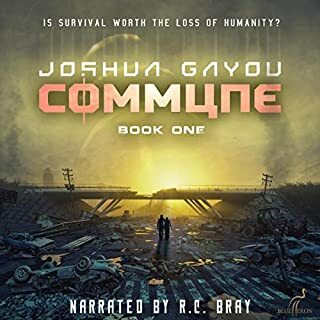 It is, put simply, an excellently crafted story designed to drag the unsuspecting reader through the very worst side of humanity that history is built on: a cautionary tale in the grandest tradition of science fiction. Didn’t know anything about this one going in except that RC Bray requested to take this on once he read the draft presented. I am glad he did! I am not a big post-apocalyptic fan, but this gritty story got me hooked straight from the first chapter. It has believable, 3D characters, visceral tension, plentiful and well-researched background and it is plain good story that has me ready to reach for Book 2. 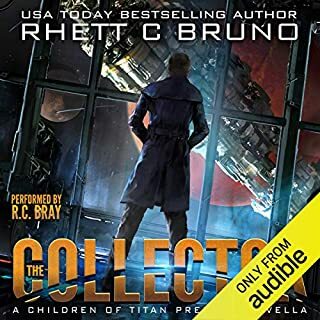 Think dystopian stories like Blade Runner and the old gumshoe noir films, oh, and even a touch of James Bond all set in a verse somewhere between Firefly and The Expanse. Did I mention doomsday already came and went? The protagonist, Malcom Graves, is a gritty, strung-out "Collector" hunting bounties on the company dollar. After botching his latest job, fate hands him a second chance at redemption in more than just his employer's eyes. While on vacation, he finds himself at ground zero for a terrorist attack. He must then take on a cyborg partner he doesn't want while they chase the attackers across first the earth and then the solar system. All the while, Malcom feels the past chasing him. Post-apocalyptic and sci-fi gumshoe fans will love this story. I know I did! 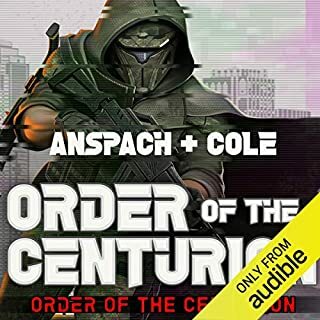 One of the best Hard Military Sci-fi/Space Opera novels I've read. It explores an unusual solution to the Fermi Paradox. 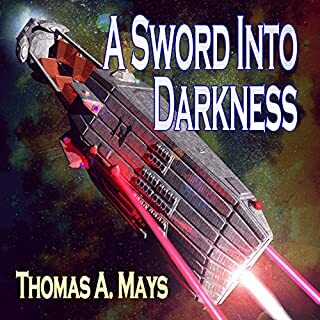 Aliens are coming, but they aren't signaling their intentions, so one maverick billionaire recruits a battle-blooded US Navy officer to help design and build from the ground up Earth's first space warship. The first half of the book is the ramp up and the second half delivers on the space action, but there is plenty of interesting stuff happening throughout. At no point was the story slow: a challenge few can pull off. If I had anything to compare it to: think a blending of Robert Heilein's "Starship Troopers" and Andy Weir's "The Martian." The characters are well-developed and the plot compelling. And the feeling of realism throughout is very solid. 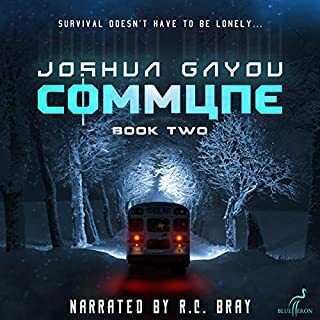 An excellent narrator made for a very fun story. 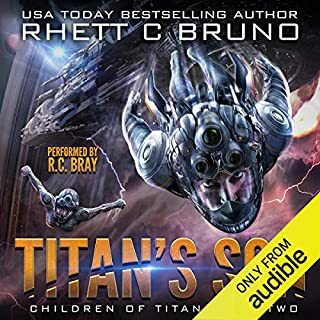 I've gone through this book 3 times (twice on Kindle and once on audible). I just don't re-read many books that often: a testament to its quality. Looking forward to Book 2, which is expected in 2019. The pettiness of the officers in the story dragged the production down. Yes, such behavior happens. It simple didn't make for a good story IMHO. The acting was fine. 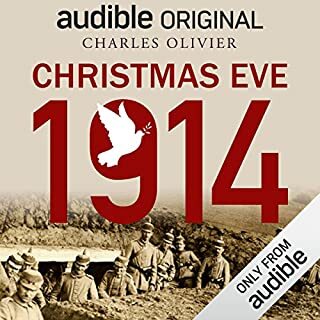 The part where the audiobook shone was at the end when the truce happened.